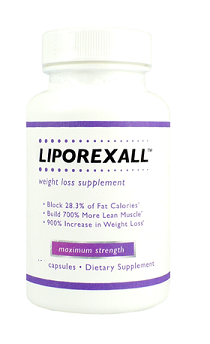 Liporexall is a diet pill that appears to be the subject of much discussion and debate, particularly in Australia. A quick ‘google’ reveals website after website of reviews. For every positive review, there is a negative one. Hopefully here we can give an insightful, impartial run down or what it is and what it does and more importantly is it worth a purchase. Liporexall is often compared to Oxyelite Pro and Phytodren – it is hardly a surprise when you put all three together that do appear to be remarkably similar. Claims to be a clinically proven commercial diet pill that works by increasing the metabolic rate and reduce appetite. Claims to be a manufactured as a result of a scientifically created formula that can produce more metabolic hormones that in turn burn fat, raise your levels of lean muscle, and “fool” your brain into thinking that the body is full (reached satiety). Also claims to reduce the effects of the yoyo weight loss process – this is the process whereby once the target weight is reached the dieters tends to stop watching what they eat or using a diet product and pile the weight straight back on again. Liporexall contains ingredients mostly from the natural world. There are so many ingredients in the formula it is pointless to list them all as some are present in such small quantities they do not provide any benefit at all. Phase 2 is a naturally formulated blocker that is said to help neutralise the digestive enzyme alpha amylase prior to it turning starch from food consumed into glucose and then fat. It is also though to help carbohydrates (foods such as rice, pasta, bread and potatoes) exit through the system before being absorbed in any great quantity. Bioperine which is an ingredient as such but an ingredient that helps the more active one work quicker by aiding with absorption. Bipoerine is quickly becoming almost a default ingredient in many of recently introduced diet pill and capsulised slimming products. Should not pose a threat of side effects if taken as suggested. Pregnant or nursing mothers should avoid as should anyone taking prescribed medication. It is not really a diet pill to invest your hopes into – it seems to be far too similar to many commercial diet pills available. There is nothing revolutionary or indeed mildly interesting connected to it. Ordering opportunities for customers in Australia seem to be somewhat limited to the official website. Pricing is $49.00 for a months supply with discounts given for multiple months purchases. There does not appear to be a Liporexall stockist in Australia. If you prefer to make your purchases in store you may well be disappointed. 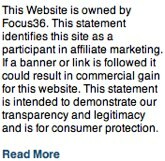 having said that, if you intent to buy Liporexall at all you may well be disappointed. 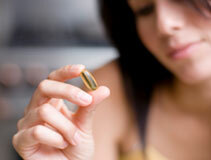 If you are looking for a naturally formulated diet pill then there are several options open to you. Some brands names to remember are Capsiplex, PhenQ, Procatol Plus and raspberry Ketone Plus. We have written a diet pill guide that you may find useful – if we recommend a product or a type of diet pill pease rest assured it has been thoroughly reviewed and adhered to all necessary guidelines. This entry was posted in Appetite Suppressants and tagged Liporexall, Liporexall Australia, Liporexall Coupon Code, Liporexall or PhenQ, Liporexall review. Bookmark the permalink.